In this active recovery class, you'll restore suppleness to the muscles used for pull-ups, push-ups, deadlifts, and other common strength-training exercises, including the gluteus minimus, iliacus, psoas, abdominals, pectorals, quadratus lumborum, latissimus dorsi, serratus anterior, intercostals, and spinal muscles. This sequence focuses on relieving physical tension and increasing mobility through deep tissue relaxation. It includes “rollout sessions” (where you'll explore myofascial release practices) and intermittent check-ins (where you'll assess the effectiveness of the practices that you've done). 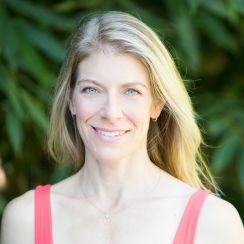 For more information regarding fascia and myofascial release practices, check out Jill's course, Fascia: Function and Physiology.